Ayrshire Scotland Business News: Cheltenham hero Simonsig heading for Coral Scottish Grand National Festival at Ayr Racecourse? 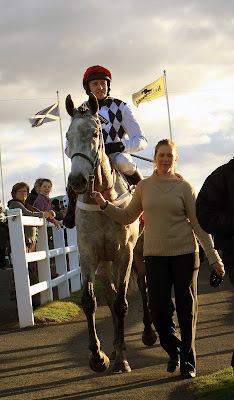 Cheltenham hero Simonsig heading for Coral Scottish Grand National Festival at Ayr Racecourse? Simonsig, winner of the Racing Post Arkle Chase at Cheltenham, could be heading to the Coral Scottish Grand National Festival at Ayr Racecourse. The Nicky Henderson trained horse (pictured above) is a possible runner in the Arcadia Consulting William Dickie & Mary Robertson Future Champion Chase on 20 April at the track. 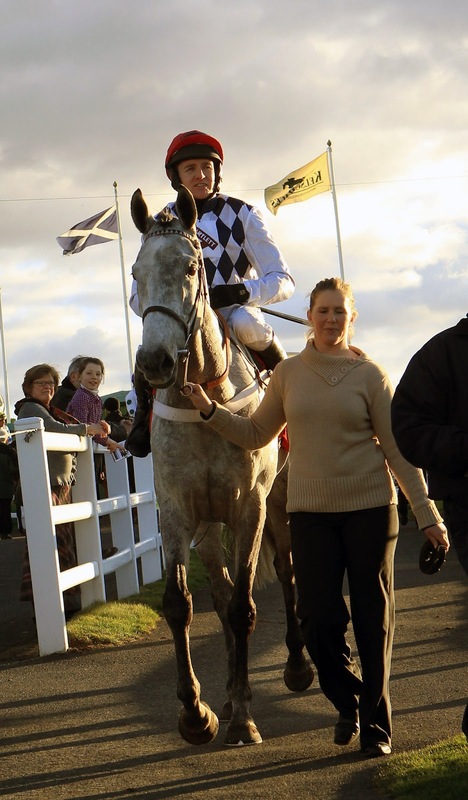 The presence of Simonsig, owned by businessman Ronnie Bartlett, is sure to boost the crowd at Scotland’s richest race meeting. It was announced last week that prize money for the two-day Festival has been boosted by £100,000 to more than £500,000. For further information please contact Iain Ferguson on 01292-294972 or 07795-565691.